Switching from conventional ‘Western’ financial practices to Islamic banking gives distinct advantages to banks, with the change improving the liquidity and value of stocks. 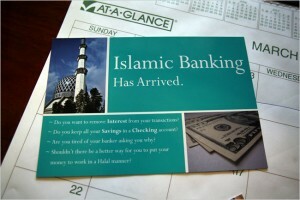 Islamic banking is consistent with the principles of sharia. Image courtesy of Pakistan Today. 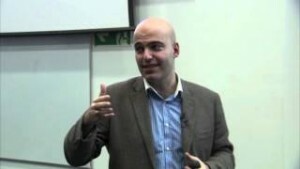 Researchers at the Universities of Brighton and Birmingham studied a merger that took place in Bahrain, between an Islamic bank and a conventional bank in the wake of financial crises that rocked the world between 2007 and 2009. Their study showed that the 2009 acquisition of Bahrain Saudi Bank by the Islamic institution Al Salam Bank Bahrain (ASBB) prompted a significant increase in the liquidity of ASBB after adopting an Islamic banking system. Published in the Journal of International Financial Markets, Institutions and Money, the study looks at how the amalgamated bank operated after the merger, concluding that Islamic banking offered the institution significant advantages. Islamic banking is consistent with the principles of sharia, or Islamic law, which prohibits acceptance of specific interest or fees for loans of money. Investment in businesses that provide goods or services considered contrary to Islamic principles, such as companies which sell pork or alcohol, is also prohibited. The study directly tested the impact of a change from Western to Islamic banking on the same financial institution. It indicated that the permanent rise in liquidity of ASBB stocks could result in increase in the bank’s value, as it could be less costly for them to borrow, issue capital or issue public equity after the increase in liquidity resulting from the introduction of Islamic banking. Its findings revealed that better liquidity of ASBB stocks, following the introduction of Islamic banking, was maintained over a three-month trading interval. There were also permanent increases in the stock price and trading volume of ASBB stocks after the adoption of Islamic banking. Tagged Banking, economics and finance, economy, finance and investment. Bookmark the permalink.